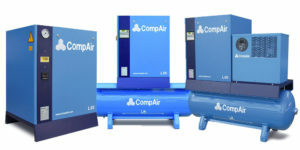 Thanks to the user-friendly design of the L02–L05 range these CompAir compressors are simple to use, simple to install and fully ready for plug and play. 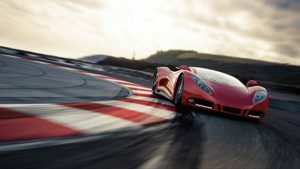 Industrial Design – Compact & Powerful! Designed with the minimum number of moving parts, the compressor is reliable, robust and capable of continuous running for all applications. It couldn’t be easier to service With fully removable side panels the compressor is quick and easy to maintain and service, minimising downtime and maximising reliability. CompAir Receivers built to EN87/404 (AD2000). 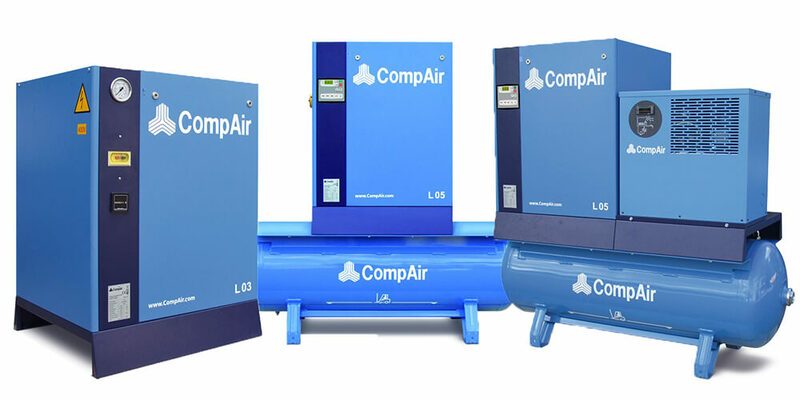 Download the CompAir L02-L05 Air Compressor Sales PDF. 2) Measured in free field conditions in accordance with ISO 2151 and ISO 9614-2, tolerance ± 3 dB(A). 3) The refrigerant dryer requires a separate electric supply. Data refer to DIN ISO 7183, 8573-1:2001 (class 4, pressure dew point 3° C). We stock a comprehensive range of Screw Air Compressors and associated equipment for all applications and budgets. Our Engineers form part of the team to assist you at every step of the way. Please contact our Technical Sales Office to discuss your requirements, or for technical advice, support and assistance. 01494 530291 and select Service. 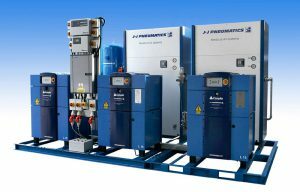 The range of oil-injected rotary screw compressors incorporate the very latest technological advances and manufacturing processes to provide users with a continuous supply of economic and reliable high quality compressed air. CompAir undertakes ongoing research and development and investment into the latest design and manufacturing tools with rigorous implementation of the ISO 9001 quality system, ensuring you have installed a reliable, high quality product.